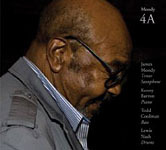 James Moody's 4B is a companion-pieceor continuation-of-sortsof 2009's 4A. The two albums, while released a year apart, were recorded on back-to-back days in 2008. While the "B" status might lead to the conclusion that this is a consolation prize of an album, that's is hardly the case. 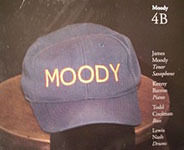 Moody and his superb quartet, featuring fellow Dizzy Gillespie-alumnus Kenny Barron on piano, Todd Coolman on bass and Lewis Nash on drums, lend their expert skills to original material, jazz classics and Great American Songbook fare. Finding new ways to bring oft-played favorites to life, and finding something meaningful to say/play on these pieces, is not always an easy task. Fortunately, these four A-listers seem to be up to the challenge. Barron gets the locomotive movingat a relaxed clipon "Take The A Train," but it becomes an express train when the whole quartet gets involved. "Hot House" is slower than usual here and Moody is suave as can be when he works through head. "Speak Low" is re-imagined as a Calypso-influenced excursionwith Barron adding some Cuban-sounds to the mixand the rhythm section moves between their island-inspired groove and a swing feel. With the exception of the ballads, Moody's soloing shines brightest on this one. The balladsall superb from start to finishcome in different shapes and sizes. Moody's melodic expression on "Polka Dots & Moonbeams" is an example of emotive playing at its finest. Cole Porter's "I Love You" gets a beguine-meets-ballad treatment, courtesy of Nash. Barron's soloing is more rhythmically engaging than Moody's on this one, as the saxophonist prefers to use more finesse than firmness. Barron's "Nikara's Song" has a moodier (no pun intended) sense of intrigue to it, with Moody's tender saxophone sound and Barron's mood-setting skills used to full effect. While Nash ably demonstrates his ability to shape a song with subtly sliding brushstrokes, his crisp, clean, highly articulate single-stroke playing with brushes has become more of a calling card for him. These skills are put to use on Todd Coolman's "O.P. Update" and "But Not For Me," which features some superb soloing from Coolman. Both rhythm men even have an opportunity to trade back and forth a bit on "Along Came Betty"Moody's nod to fellow octogenarian saxophone legend Benny Golson. 4B, like its similarly named sibling album, is a fine edition to the catalog of one of the most enduring and important saxophonists in jazz. Track Listing: Take the A Train; Hot House; Speak Low; Polka Dots & Moonbeams; I Love You; O.P. Update; Nikara's Song; Along Came Betty; But Not For Me. Personnel: James Moody: tenor saxophone; Kenny Barron: piano; Todd Coolman: bass; Lewis Nash: drums.